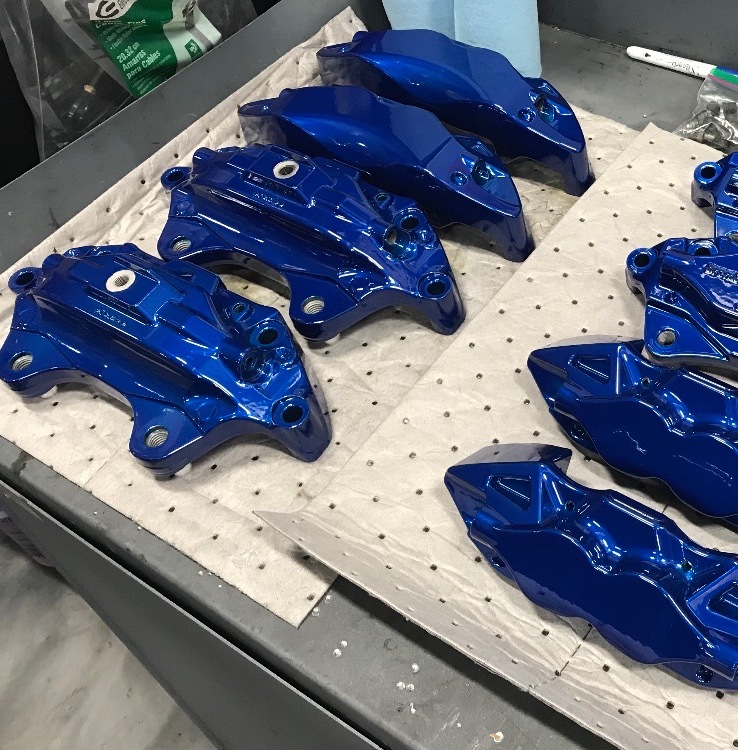 Here's a couple pictures after I had them calipers powder coated . Thanks for the idea Mike ..
elegant, German, Dasyatis and 8 others like this. Really nice. 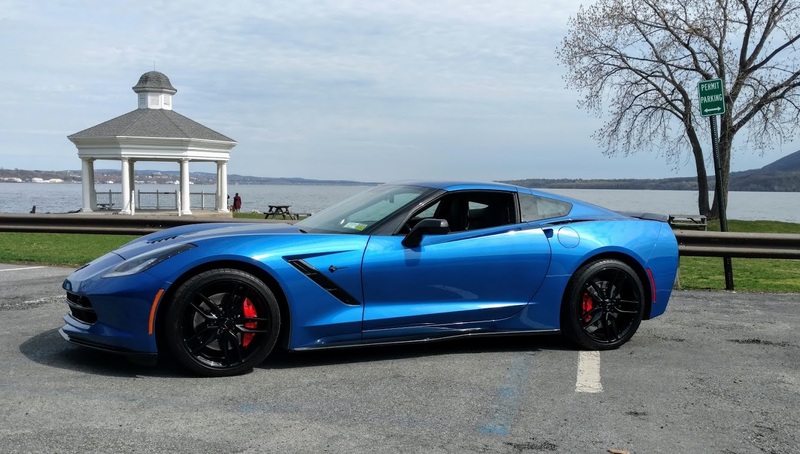 Blue calibers should have been an option on all C7's. GTB/ZR-1, U.S. Marine and ssscooter66 like this. 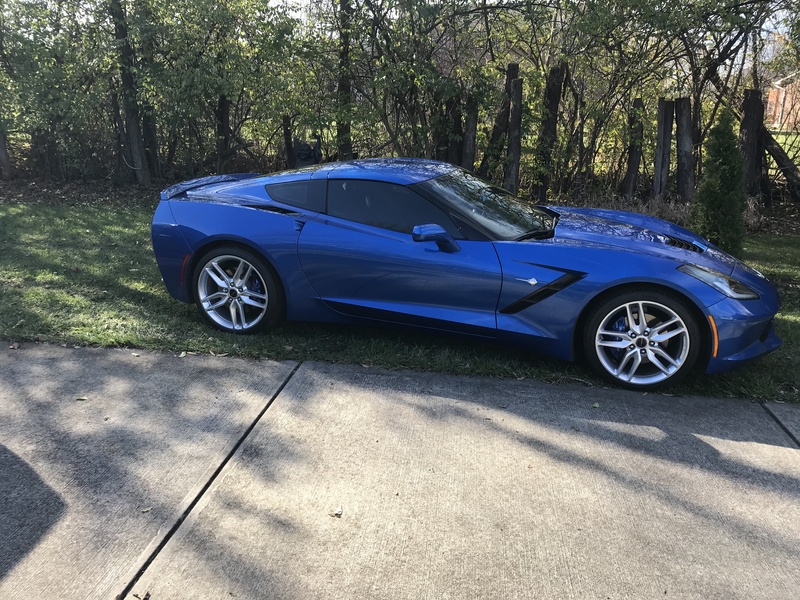 2015 Stingray: 1LT Blade Silver, A8, ZF1 Package, Transparent Top, NPP Exhaust, Red Calipers, Carbon Flash Mirrors, Spoiler and Stinger Stripe. 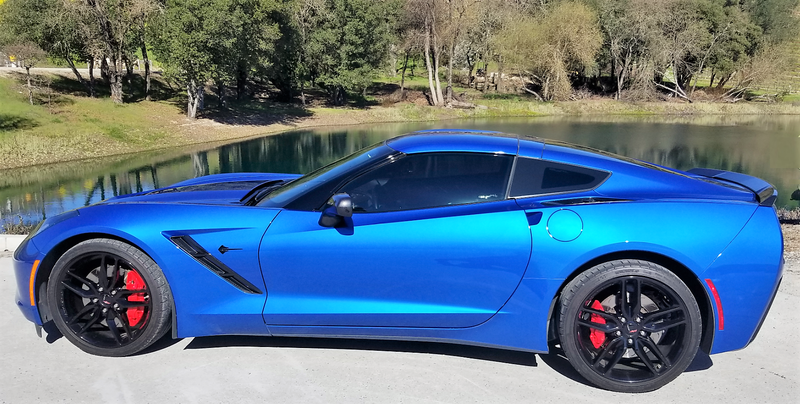 Mods: 2018 OEM Satin Black/Red Stripe Wheels, OEM Z06 Splitter, Z51 Sway Bars, Elite Catch Can. RPI Mods: Z06 Grille with Blade Silver Ducts, Stage 2 Rocker Skirts, Torch Red Painted Engine and Tank Covers with Black Chrome Caps. 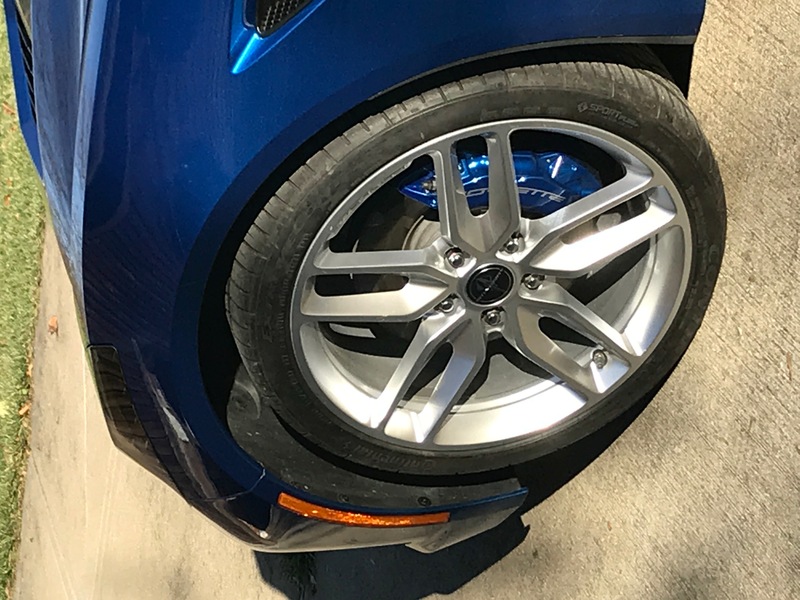 ssscooter66, excellent looking mod for your C7 Masterpiece, it lets the wheels pop out better and matches the LB. Ateupjoe, twowinns, Wolf's Stinger and 2 others like this. Last edited by Squibbly; 09-26-2018 at 12:30 PM. 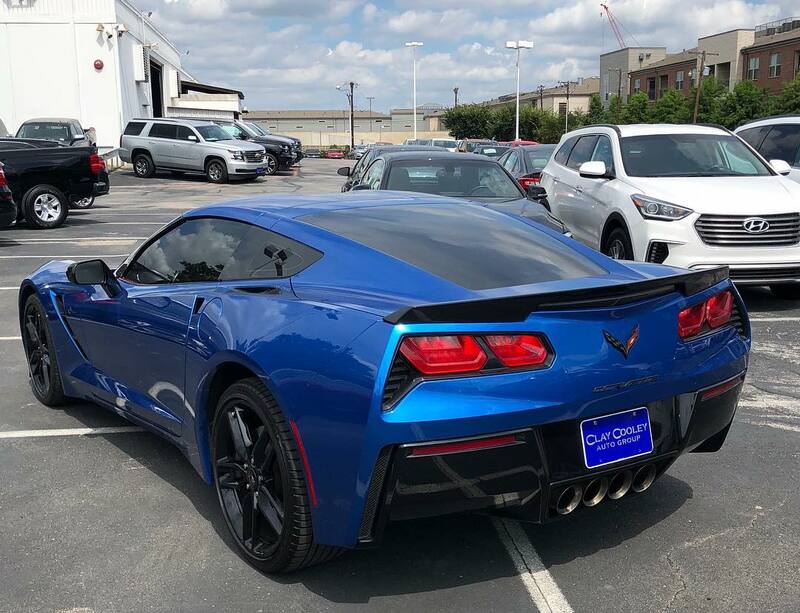 GTB/ZR-1, Wolf's Stinger, Wayne's 1st Vette and 2 others like this. 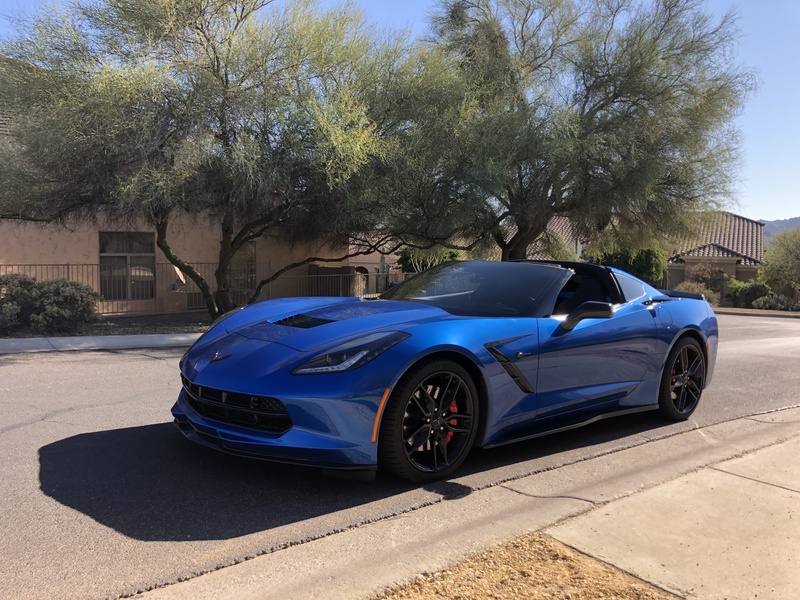 Welcome to our forum Squibbly and congrats on your great looking C7! Wolf's Stinger, jsvette, ssscooter66 and 1 others like this. jsvette, daleong, ssscooter66 and 1 others like this. Wayne's 1st Vette likes this. Waiting for the Laguna Blue convertible to be shown! If you look through the mesh on the hood...I see blue! 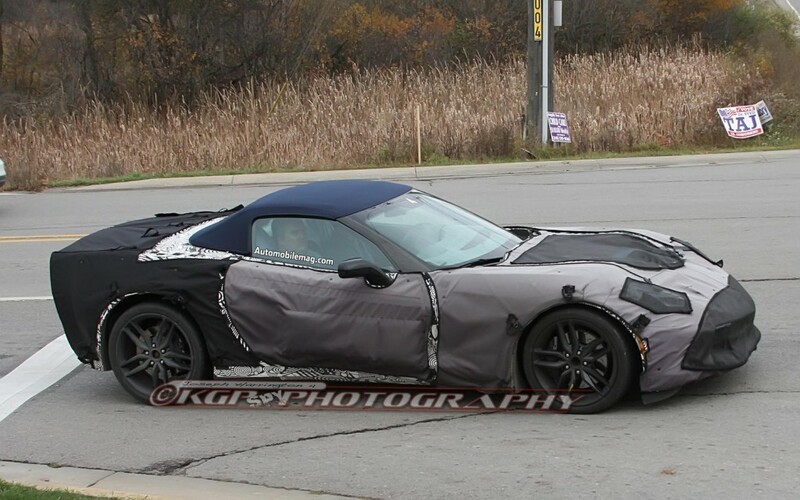 Funny seeing this post from 2013 of the C7 in stealth mode before release. Last edited by Fireeagle; Today at 09:48 AM. 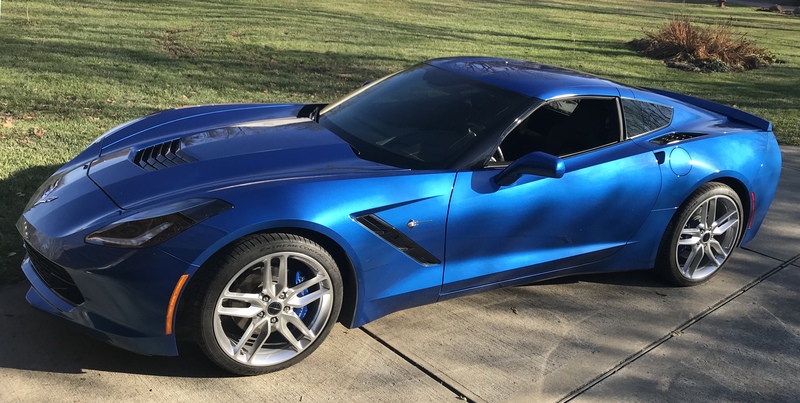 2015 blade silver Z51 3LT A8 Stingray, jet black interior, competition seats, Z51 style chrome rims. Suntek clear bra, carbon flash metallic custom stinger stripe, side mirrors and rear spoiler. 1986 two-tone silver over grey C4 survivor coupe with slate blue interior and only 47k miles. Maybe it will come out in 2015! A nice day for a photo down by the Hudson River at The Donahue Memorial Park , Cornwall on Hudson !!! jsvette and Steam like this. 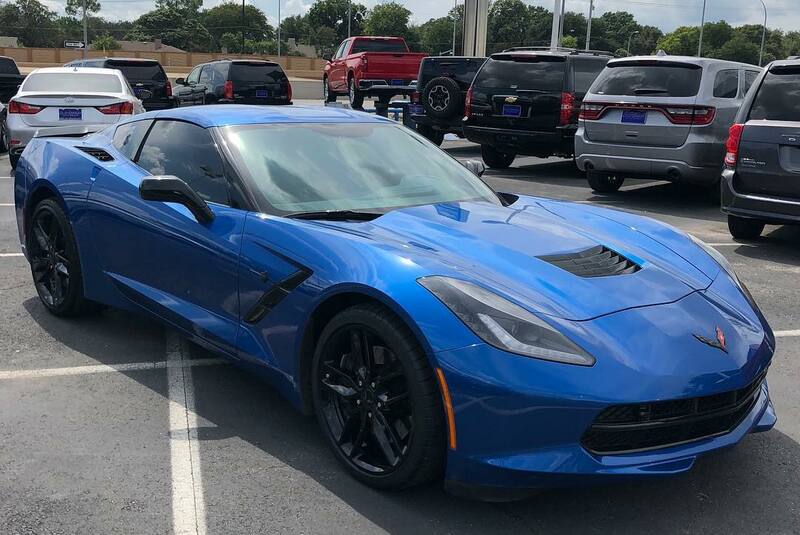 I brought my laguna blue convertible to the dealer the other day to get some minor work done. 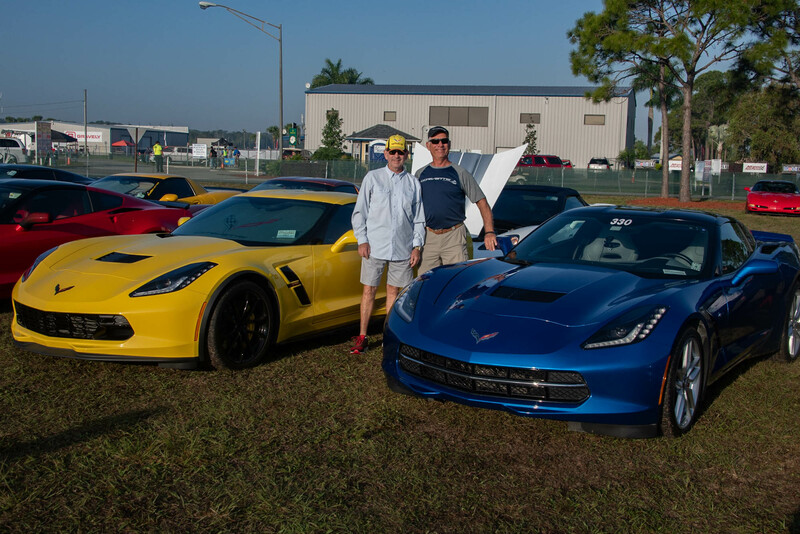 When the corvette mechanic came out with my car and explained what he had done, he added ,that is a beautiful car. The car has a gray top on it and he told me it was a great look. Many times when I'm sitting at a stop light I'll get thumbs up and kind words on the color and the car. It seems that many people love this color. jsvette and twowinns like this. Share a photo of it with us. 3559 as of September 4, 2016. 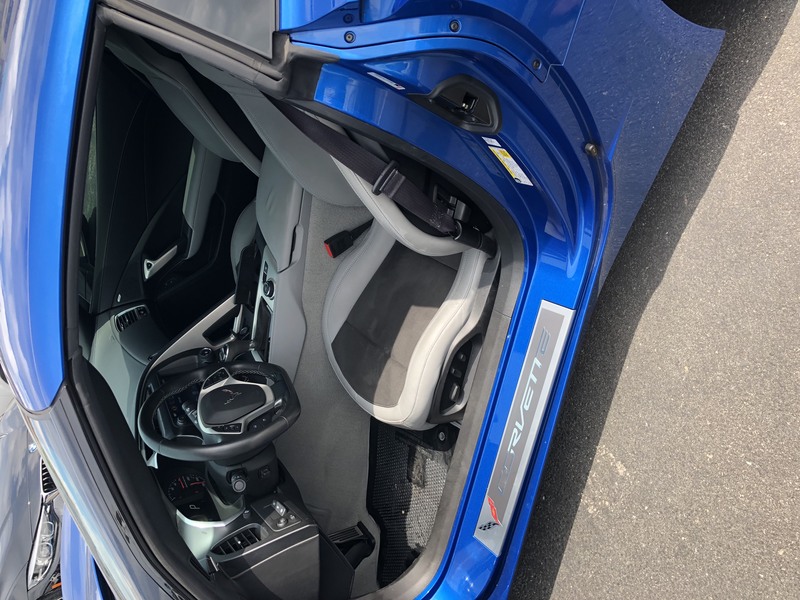 Do you have a gray interior as well? That sounds awesome. I agree: share some pictures of it. C.A.R.O.L.I.N.E. 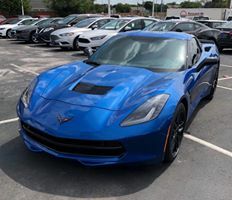 is a 2016 Long Beach Red, 3LZ, Stage 1, Z06 Coupe with an Automatic 8-speed transmission, the Spice Red Design Package, Competition Seats, a Carbon Flash Hood Stinger, and a Body-Colored Dual Roof Package. She has SunTek paint protective film installed on every painted surface other than on some of the vents' and grille's slats, G3 Carbon's "G3-O7" side skirts, GM StingRay Red Tail Lights, GM Rear Splash Guards from Trunk Monkey, ACS Composite Enhanced Front Wheel Mudflaps from West Coast Corvette, and her mufflers painted with POR15 Aluminum high temperature paint.